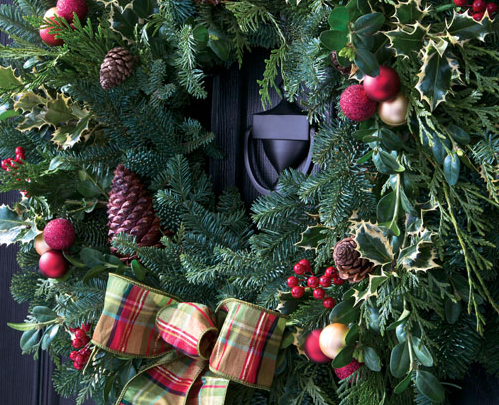 As the Holidays quickly approach, ’tis the Season to begin planning for your gift-giving. I know, it may seem too early. But planning your Christmas shopping in advance can help create a stress-free time once the big day draws closer. As you make your shopping list, be sure not to forget your neighbors. Those who you may turn to to “borrow” a cup of sugar, they may be so kind as to water your plants while you are on vacation, or a simple wave as you see them daily. We have a lovely selection of creative and thoughtful gifts perfect for them! Merry & Bright Paperwhites – these beautiful blooms will brighten up anyone’s home! The modern red container can easily be re-used later in the season. 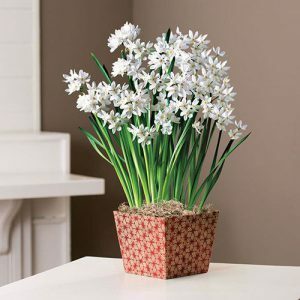 Paperwhites are very easy to care for, so they will make a perfect gift for the busy bee. The Good Tidings Paperwhites Bulb Garden will also make a special treat for any neighbor! 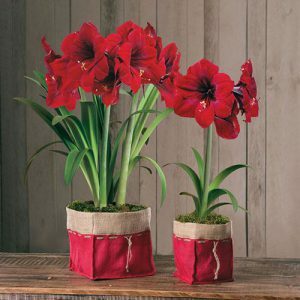 Amaryllis Bulb Gifts are a classic Christmas bloom that will add festive color to anyone’s holiday. Easy-to-Grow and interesting to watch as these bulbs grow so quickly! With a variety of colors and styles, you are sure to find an Amaryllis to suit any taste. For classic holiday color, try choosing the Special Delivery Amaryllis, it arrives in a festive jute bag that will fit in to any holiday décor. 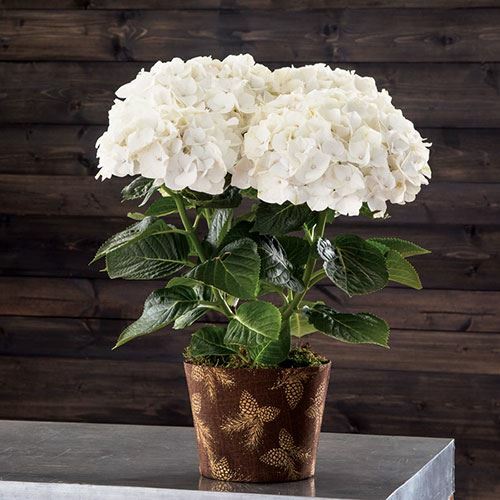 The Joy of Christmas Amaryllis provides gorgeous bi-colored blooms in a modern cachepot. A fun and thoughtful gift for your neighbor is always baked goods. Our Mrs. Claus Cookie Mixes make holiday baking easy and stress-free. No need to run to the store and grab all of the needed ingredients, almost everything you need is right in the jar! Choose your favorite flavor and bake them up for the neighborhood, or give the jar unbaked so anyone can have a cookie night with their loved ones. 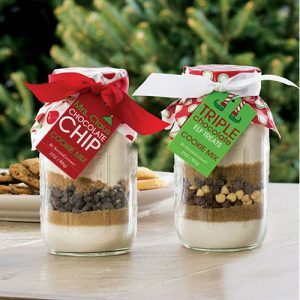 Each jar of mix makes up to 3 dozen cookies, so everyone can enjoy a tasty treat! You don’t even have to wait until Christmas to give a lovely gift! Many of our living gifts arrive in lovely cachepots tha t will fit in perfectly with any fall decor or on a Thanksgiving table. 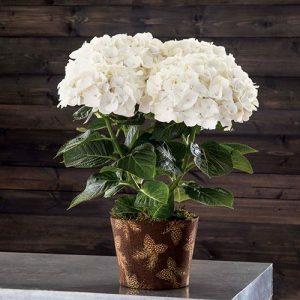 The Holiday Hydrangea would make a perfect gift for anyone during the entire holiday season. The cachepot is decorated in a lovely pine cone pattern that will easily transition from fall to winter. Don’t forget that a gift certificate also makes a wonderful gift for anyone on your list this holiday season – or any other time of the year!